Nani is in her fourth year with Pilipa’a Volleyball. 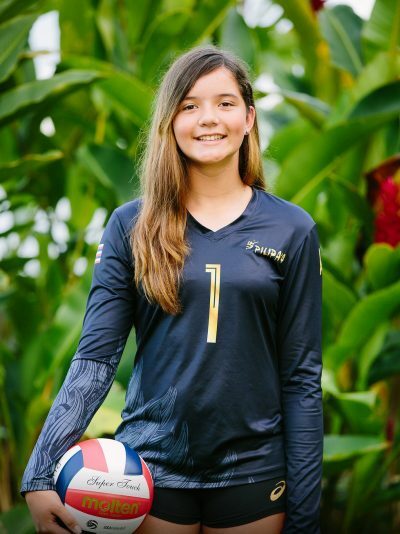 She primarily plays outside hitter and opposite with the Pilipa’a 16-1 team , however she has the versatility to play middle blocker as well. She was a starting outside hitter on the varsity team as a freshman and sophomore at Kamehameha-Hawai’i.